Poor implementation of survivorship care plans (SCPs) ultimately limits the ability to determine whether they work, according to Sarah A. Birken, PhD, Assistant Professor in the Department of Health Policy and Management at the University of North Carolina at Chapel Hill. Promoting and enhancing survivorship are cornerstones of our mission as navigators. From community outreach efforts to improving quality of life, from managing efficiency throughout the cancer care continuum to implementing strategies to extend life, navigation efforts are primarily intended to improve the patient experience across the continuum of care. In 2005 the Institute of Medicine (IOM) issued a report recommending that every cancer patient receive an individualized survivorship care plan that includes guidelines for monitoring and maintaining their health. 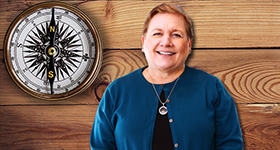 We discussed this topic with our Editor-in-Chief, Lillie D. Shockney, RN, BS, MAS, ONN-CG, to understand their purpose and contents, and the role of oncology professionals in their creation and dissemination. Survivorship guidelines have begun to address the premise that every patient deserves high-quality, individualized, and risk-based follow-up care. Are Survivorship Care Plans Useful to Primary Care Providers? Primary care providers (PCPs) are interested in receiving survivorship care plans (SCPs), but all too often they either do not receive them, don’t know that they did, or don’t have easy access to them. Do We Have Unrealistic Expectations of Survivorship Care Plans? Existing research provides minimal evidence that survivorship care plans (SCPs) improve quality of life in cancer survivors, but according to Paul B. Jacobsen, PhD, from the National Cancer Institute (NCI), this lack of evidence might actually be due to heterogeneity across SCPs and the low likelihood that SCP delivery alone will influence health outcomes down the line. Delivery and Execution of Survivorship Care Plans: What Does the Research Tell Us? 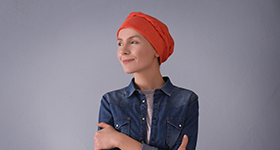 Survivorship care plans (SCPs) have been in the realm of cancer care for years now, but the research around the benefit of SCPs is inconclusive, and providers still struggle with their implementation. A group in Ontario, Canada, designed and implemented a model of care for breast cancer survivors to transition from oncology-led care to primary care in a publicly funded healthcare environment. This training webinar addresses the topic of prostate cancer survivorship among sexual and gender minorities, and how to provide appropriate care for this population.